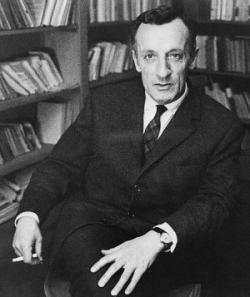 French phenomenologist Maurice Merleau-Ponty describes how the lived body makes sense of experience in the phenomenal world. Intellectualism set out, it is true, to discover by reflection the structure of perception, instead of explaining it in terms of a combination of associative forces and attention, but its gaze upon perception is not yet direct. This will be seen better by examining the role played in its analysis by the notion of judgement. Judgement is often introduced as what sensation lacks to make perception possible. Sensation is no longer presupposed as a real element of consciousness. But when it is desired to delineate the structure of perception, it is done by joining up the points of sensation. Analysis is then dominated by this empiricist notion which, however, is accepted only as the boundary of consciousness and serves merely to throw into relief a power of co-ordination of which it is itself the antithesis. Intellectualism thrives on the refutation of empiricism, and here judgement often has the job of offsetting the possible dispersal of sensations. Analytical reflection makes its canon firm by carrying to their logical conclusions the realist and empiricist theses, and validating their opposite by showing their absurdity. But in the reductio ad absurdum no contact is necessarily made with the actual workings of consciousness. It remains possible that the theory of perception, ideally starting from a blind intuition, may end compensatorily with some empty concept, and that judgement, the counterpart of pure sensation, may degenerate into a general function of an indifferent linking of objects, or even become once more a psychic force detectable in its effects. The famous analysis of the piece of jumps from qualities such a smell, colour and taste, to the power of assuming an infinity of forms and positions, a power which lies beyond the perceived object and defines only the wax of the physicist. For perception there is no wax left when all its sensible properties have vanished and only science supposes that there is some matter which is preserved.